This site is in its infancy and I hope to improve it as time passes. It is mainly for the Desktop Badge Bar but check back once in a while to what else has been added. Welcome to ThreeMain LLC. We are proud to present the Desktop Badge Bar. The Desktop Badge Bar is a continuation of the custom of displaying your club and association affiliations. 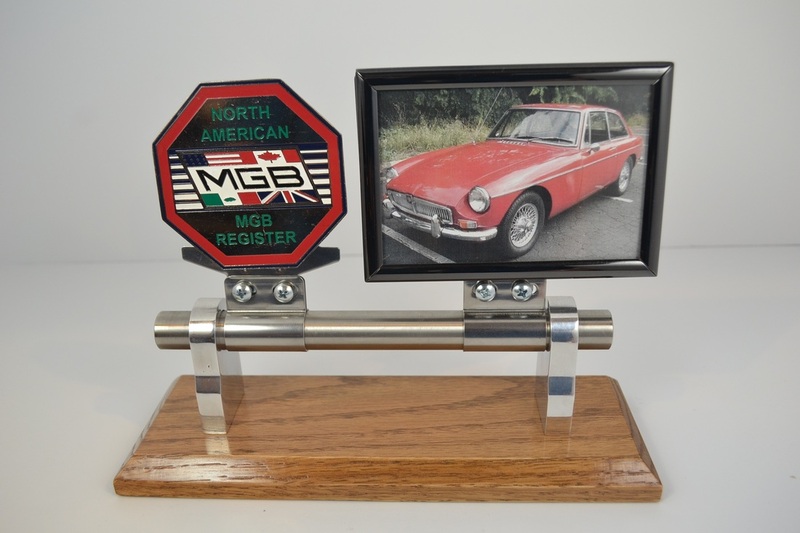 The Desktop Badge Bar allows you to bring this display indoors and let others know a little bit about you and your interests. You supply the badges and pictures and the Desktop Badge Bar provides the means. The badges shown are not included. 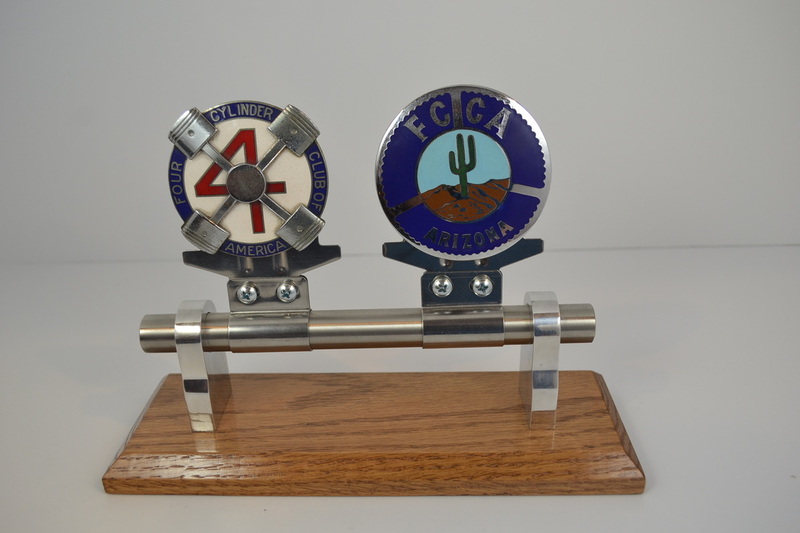 The Desktop Badge Bar comes in two styles. The two badge model on the left and the three badge model on the fight. A 3" x 5" picture frame can be added to either configuration by eliminating one badge. A brass plaque with black lettering or a black plaque with silver lettering can be added. Check the gallery for various ideas. Please note that badges are not included. The Dipstick Topper is new. It's pure bling. Be sure to check it out. 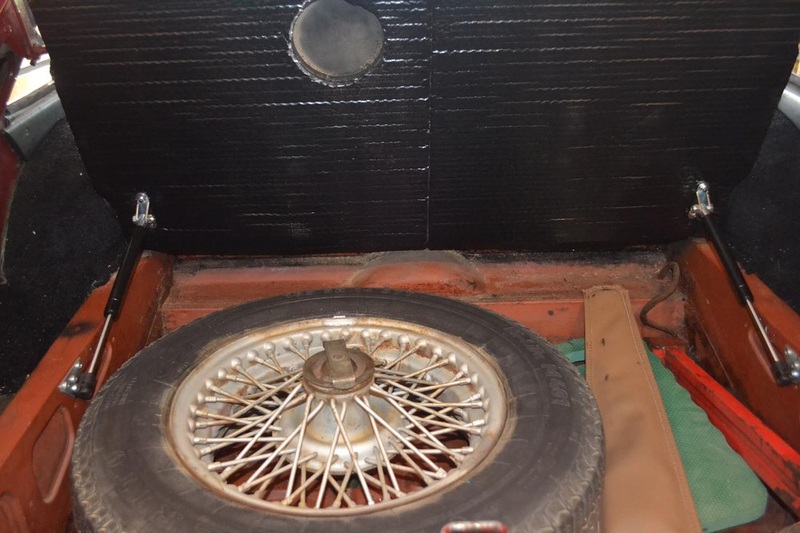 The Spare Tire Cover Strut Kit is practical and useful. I can't believe the factory didn't provide for holding it up. The Desktop Badge Bar is unique and a great way to share your interests. 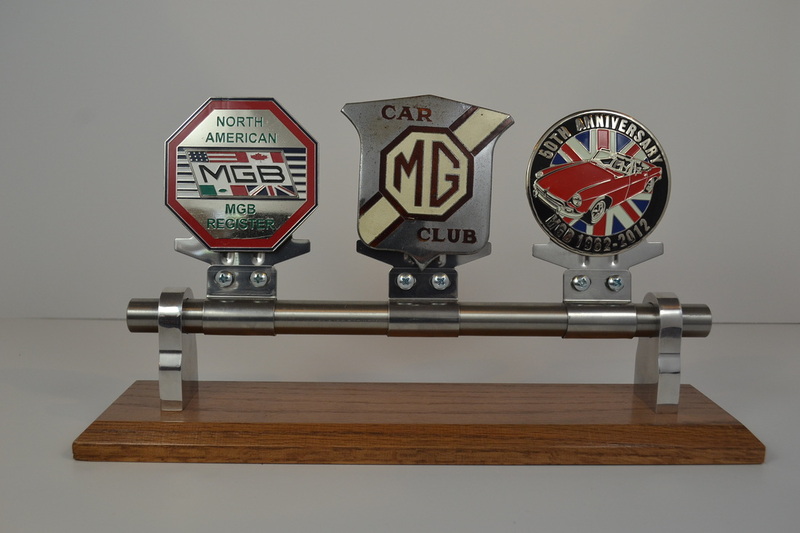 The snow is gone, at least in most places, the sun is shining and it's time get out an enjoy your MG. You could spruce it up a bit with a little bling. 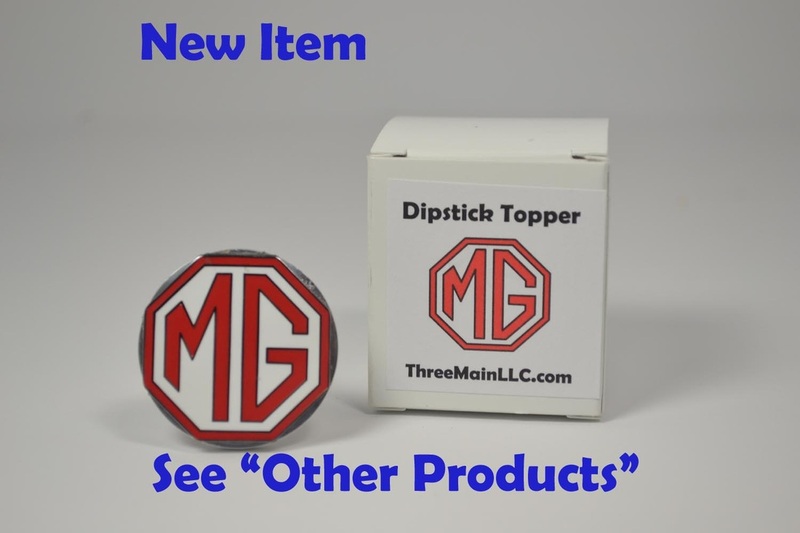 A Dipstick Topper is the perfect little project to add another octagon to your MG. I never did figure out a way to incorporate an octagon into the Spare Tire Cover Strut Kit but it is so useful you won't even notice. If you have any questions, comments or would like to order an item, please contact me via the form below or at ThreeMainLLC@gmail.com.